For those looking for a compact palette that has pretty much everything you can ask for, then why not give this Doll Face Vanity Palette a go? Not only does it contain 60 eye shadow shades, but it also has 12 lip colors and your choice of blusher, powder, bronzer, and highlighter. 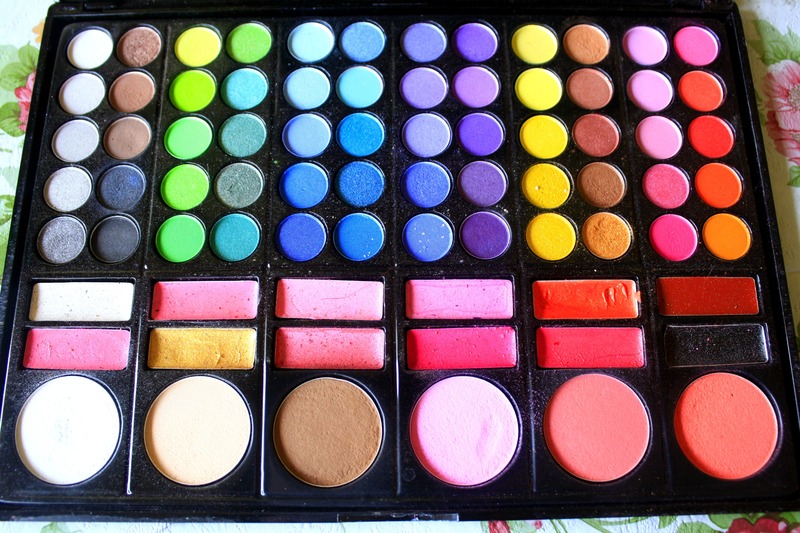 I guess not everyone would really need this many colors in one go, unless you’re an aspiring makeup artist. I didn’t think I’ll use all of the colors here too and to be honest, I don’t. However, I still bought this because for the amount of product I’ll be getting, the price is really worth it. 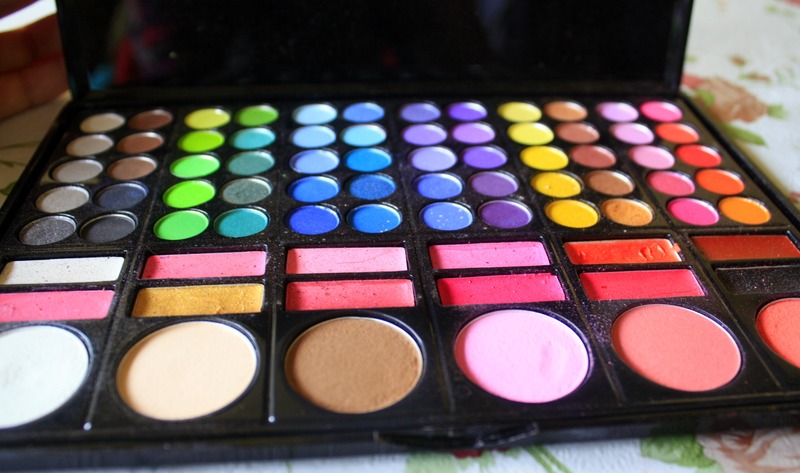 This palette costs about PHP1,000. Not bad for the variety it holds. 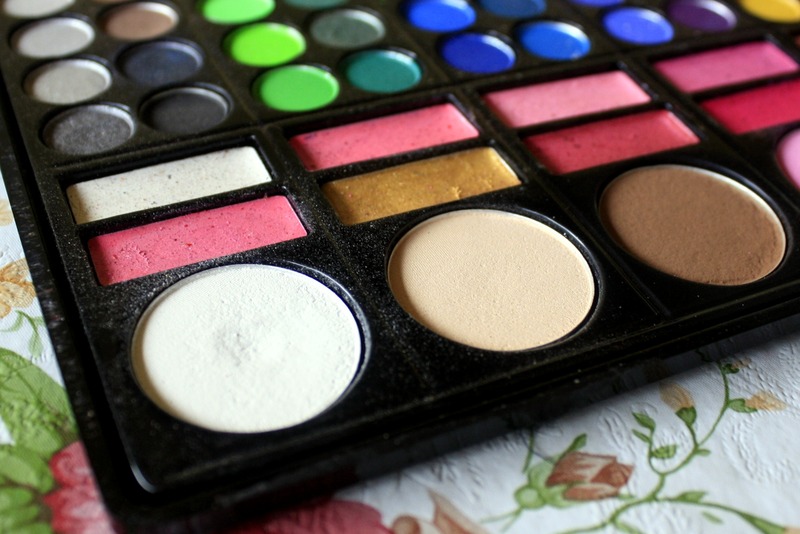 In terms of pigments, the colors in the palette are fairly pigmented, although the color pay off is not as intense as the one I got from my Sleek palettes. This is not a big issue though because one can always build up the product or use an eyeshadow primer for better color intensity. Personally, my favorite thing about this product is its versatility. One one hand, I have most of the neutral shades I need for an everyday day look and on the other, it also has the perfect colors for an evening look. 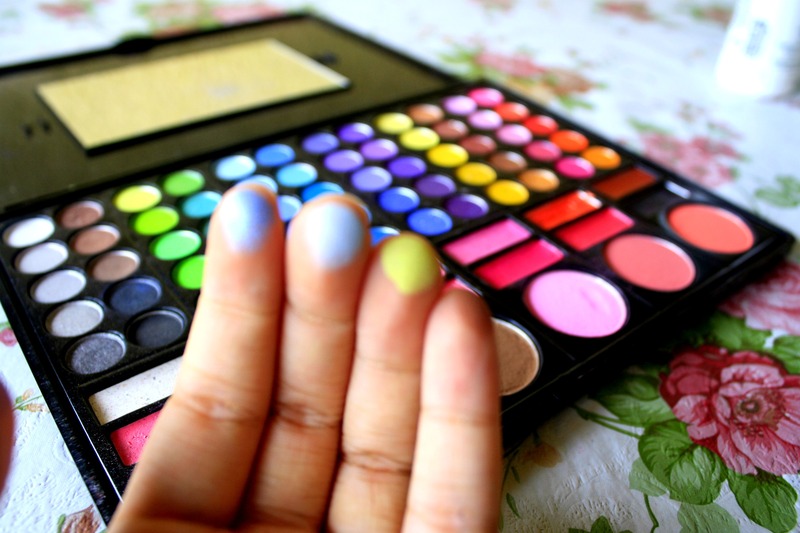 Not only that, a couple of bright, acid colors are also thrown in for those who go for daring and creative makeup. 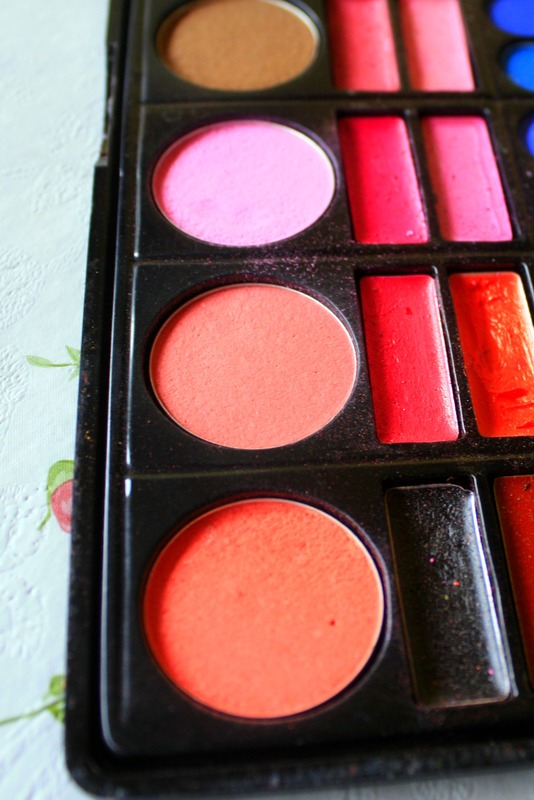 There are three blusher shades to this palette. The topmost one is a very light and pale pink that needs a heavy hand to make it show on the face. Then, there’s reddish – pink one that I like most. And lastly, an orange shade for a peachy glow. The final verdict: This is a good investment if you like experimenting with makeup and if you are an inspiring makeup artist but do not have the budget yet to buy more expensive product from professional brands. hello. how can i order products from doll face cosmetics?